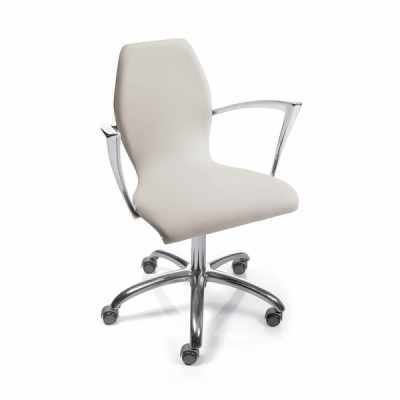 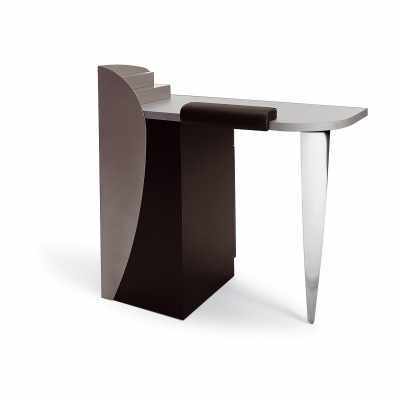 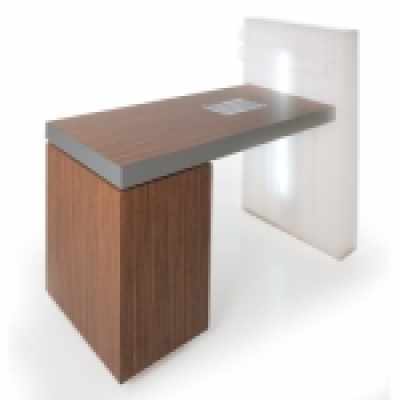 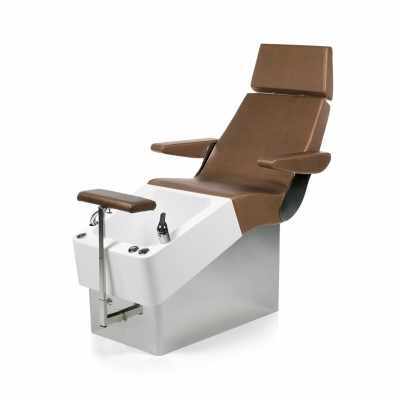 Manicure chair without aluminum armrests. 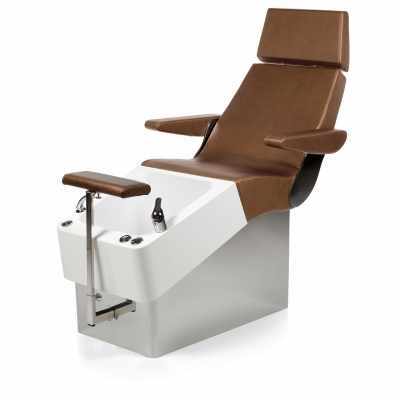 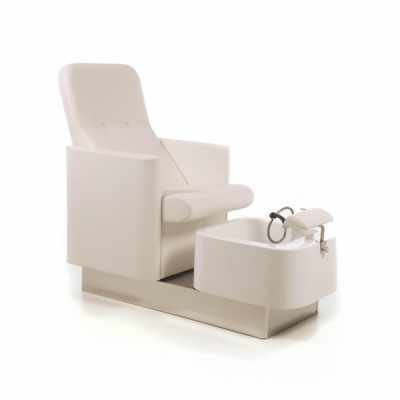 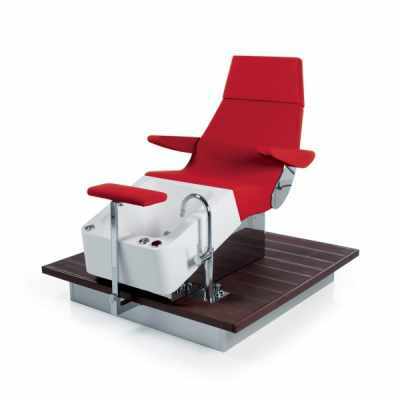 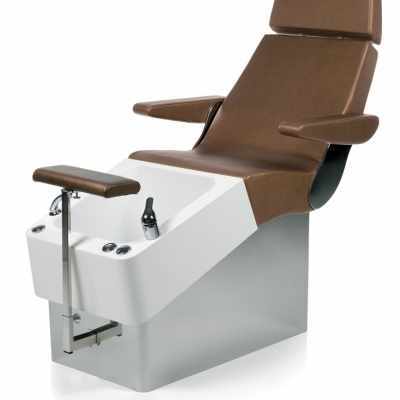 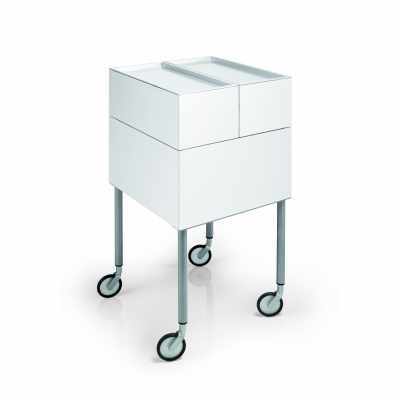 Pedicure station with sink and reclining back. 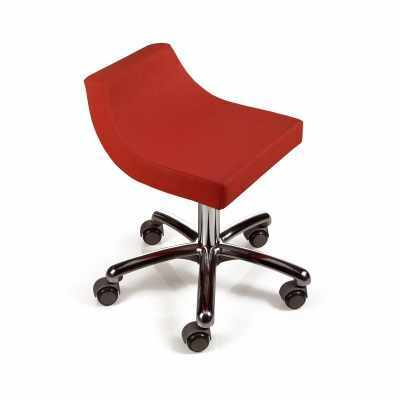 Seating upholstered with vinyl.